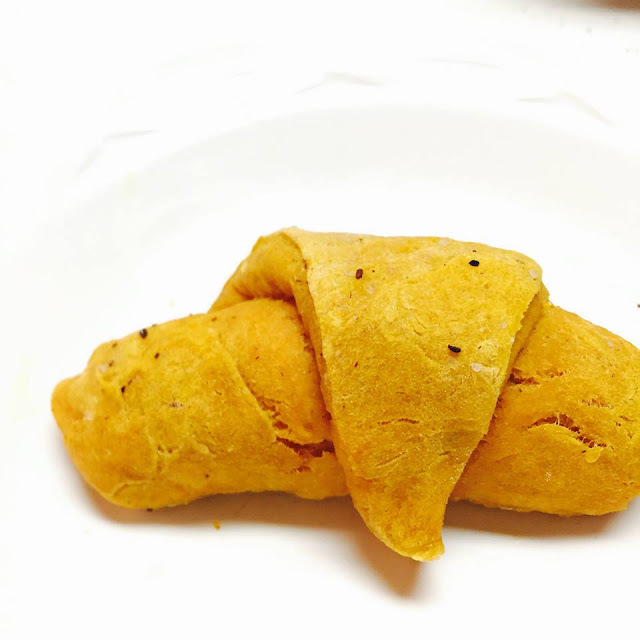 Hard to go wrong with a combination of pumpkin and crescent rolls. These crescent rolls have a hint of sweetness and fluffy texture from the pumpkin that make them addicting! One food our family has converted to recently in life are pumpkin chocolate chip cookies. 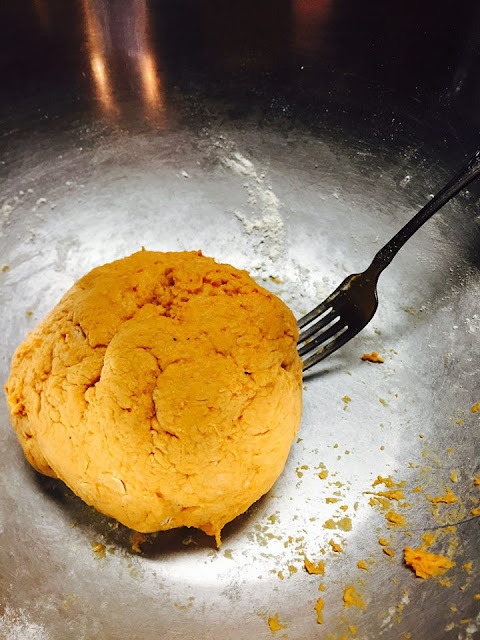 They are easy to make and result in a moist pumpkin texture that not many other ingredients can give you. Another of our year-round favorites are our Aunt Carol's crescent rolls . 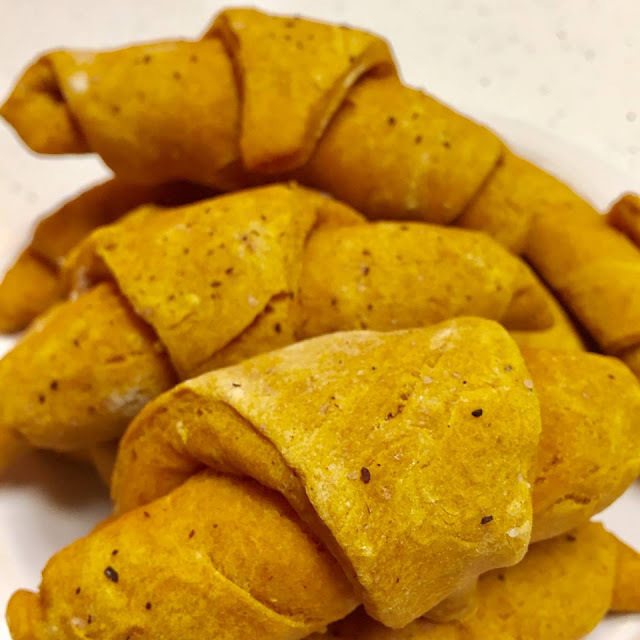 What better decision could be made than to combine the best of these two recipes and come up with these pumpkin crescent rolls. 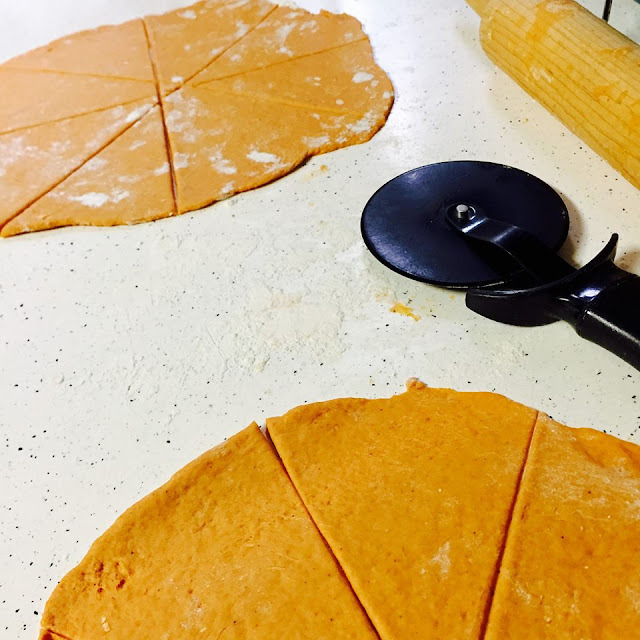 They are refreshing and not as heavy as typical crescent rolls, and pretty easy to make. Enjoy!